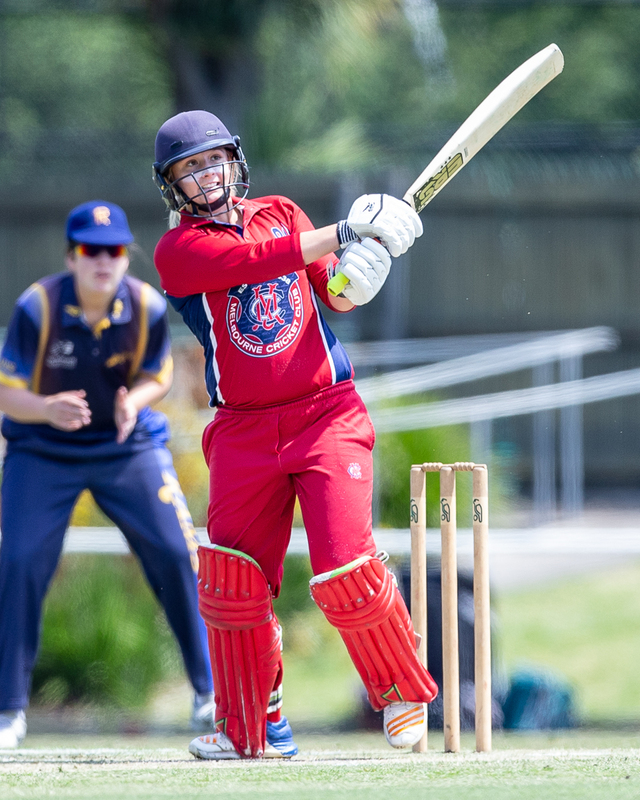 Melbourne's Amy Yates was the star of last weekend's Victorian Premier Cricket action, scoring an unbeaten 173* (her maiden Century) before chipping in with 3/18 against Ringwood. The effort of the Greenvale Kangaroos with the bat against Prahran to bat out the day and finish with a highly commendable 6/309 chasing 367 (led by Sunam Gautam’s 106). Round 6 sees the Men’s 1st and 2nd XIs play a Saturday/Sunday weekend, while the lower grades will play a One Day match in whites and with a red ball. St Kilda (1st) take on Footscray (14th) at the Junction Oval. This game will be a crucial game for the Bulldogs, with the result to either give their season a jumpstart or to write off nearly all hope of making the Finals this season. With the Saints being undefeated, it might give the Bulldogs the inspiration they need, but require more support with the bat for Dean Russ. The Saints are showing good form with spinners Michael Beer and Todd Murphy doing the damage and Ben Davies leading a good set of in-form batsmen. St Kilda to start favourites at home. Casey-South Melbourne (9th) take on Dandenong (7th) at Casey Fields #4. Not many people would have predicted this game to take on genuine meaning at the start of the season with the Swans vast improvement in the first few rounds. The Panthers (reigning Premiers) have not had everything go their way so far and will be keen to hold their spot inside the Top 8 but require more support for the dynamic opening duo of Brett Forsyth and Tom Donnell. The Swans are showing more all-round form this season with Luke Wells as Captain/Coach and will be keen to take the points at home. Gut feel says Dandenong has a little more experience on paper and will get the points on the road. Prahran (12th) take on Carlton (4th) at Toorak Park. The True Blues will be disappointed with the result at Greenvale last weekend, but they won’t find the task any easier with the Blues sitting inside the Top 4 after their win over Frankston Peninsula. The Blues have been consistent with the off flash of brilliance, while the True Blues can be positive with their batting in recent weeks. The flipside is the True Blues are struggling to get the 10 wickets needed to bowl sides out and may find it hard again this round. Carlton sit in the box seat. Frankston Peninsula (15th) host Melbourne University (6th) at AH Butler Oval. Both sides were on the wrong side of the ledger last weekend, with Uni dropping from 2nd to 6th after their loss to Geelong. Uni have shown they have more than enough options with the ball, with Steven Reid, Wes Agar, Alex Gregory and Fawad Ahmed (when available) all quality bowling options, while the batting has been fairly consistent early in the season. The Heat have seen an up-and-down start to the season, with last week’s result in stark contrast to the 5-run loss against the ladder leaders the previous round. With Tom Wood out with a broken thumb for the Heat, Uni will have to start favourites on the road. Geelong (5th) host Essendon (2nd) at the Geelong Cricket Ground. This match is expected to be the match of the round, with both sides showing good form at the present time. The Cats took a big scalp by upsetting the previously undefeated Melbourne University, while the Bombers are fresh off an outright win against Kingston Hawthorn with Matt Doric’s match haul of 11 wickets the highlight. With Eamonn Vines in the Victorian squad, Geelong might need to reshuffle the batting lineup, potentially giving the Bombers the opening they may need to keep them to a lower total. Essendon to just start as favourites on the road. Kingston Hawthorn (18th) will host the Camberwell Magpies (13th) at Walter Galt Reserve. The Hawks have had some steady scores across the opening rounds but have been lacking support with the ball for skipper Ryan Ninan. The Magpies have seen a mixed bag of results and will be keen to secure as many points as possible to keep in touch of the Top 8. The Magpies batting card has seen the odd individual performance in the middle order, but is lacking strong starts from the top order, while William Walker has been the Magpies’ best bowler by the length of the Flemington straight! The Magpies to start as favourites in this one. Melbourne (11th) will host the Monash Tigers (8th) at the Albert Ground. The Demons have been showing consistent form with the bat but seem to be a little light in the support bowling department (Sean Sturrock and Kieran Elliott have 10 wickets with the next best at 4). The Tigers have been showing good form with the ball (Dutch import Fred Klaassen leads with 12 wickets) but will be looking for more runs from the batsmen to build a defendable total or chase a target. The Demons will have the home ground advantage, but the feel is the Tigers have a slight advantage with their bowlers at present. Northcote (16th) will host Greenvale Kangaroos (17th) at Bill Lawry Oval. This match will give both side an opportunity to secure points to get their season going. The Dragons have yo-yoed with the bat and ball after their win over Kingston Hawthorn, while the Kangaroos can take a lot of positives out of last round against Prahran with the bat. 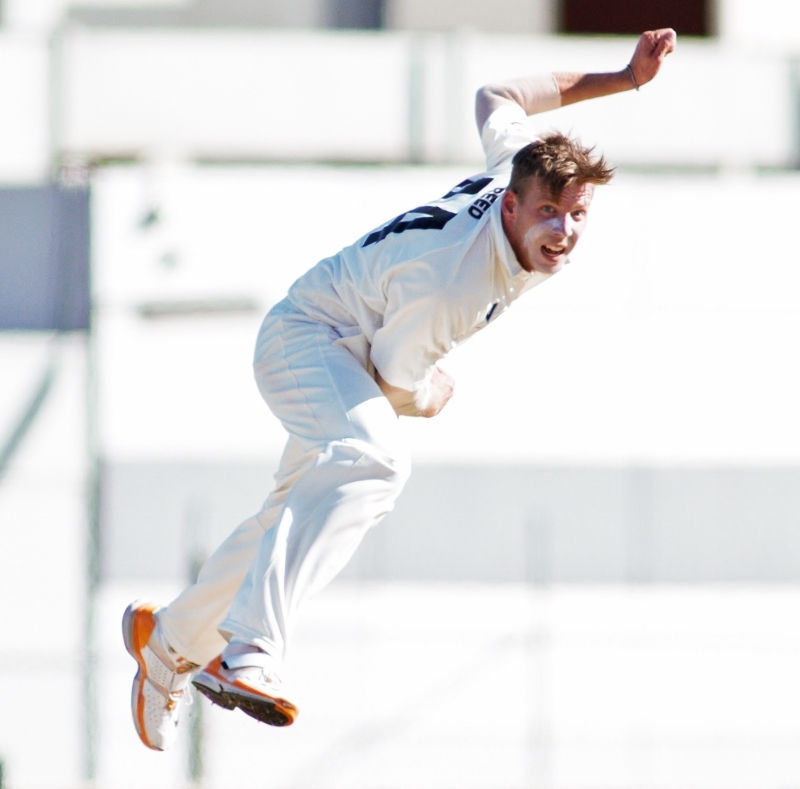 Both sides have struggled to bowl sides out, with the Dragons keen to unleash the left-arm quick/UK import George Garton into Victorian Premier Cricket this weekend for his first match. This might be the spark the Dragons need to get some important points if they can get the likes of coach Steven Taylor and Mark Phelan firing with the willow. Finally, Ringwood (10th) will host neighbours Fitzroy Doncaster (3rd) at Russell Lucas Oval. Both sides are coming off character-building victories last round and will be keen to chalk another victory on the board. The Rams are again heavily reliant on the performances of skipper Ian Holland and David King, though there is some support from Nathan Walsh with the bat and Brendan Walsh with the ball. The Lions have been getting some good contributions with the bat and have again been reliant on last year’s dynamic pair of Trent Lawford and now-skipper Ejaaz Alavi to get the majority of breakthroughs. Instinct says the Lions to start favourites on the back of their bowling line-up. In last weekend’s action in Women’s Premier Cricket, a severely weakened Prahran suffered their first defeat of the season in an 8-wicket loss to Box Hill at Box Hill City Oval, Essendon Maribyrnong Park look to get their season back on track after a 4-wicket win over Carlton-Brunswick at Bill Lawry Oval, Dandenong took home the points in a low-scoring 5-wicket win over Plenty Valley at Yarrambat and Melbourne easily accounted for the inexperienced Ringwood side at the Albert Ground. Melbourne took the points over Ringwood with a standout individual performance from all-rounder Amy Yates. Yates batted through the Demons innings to finish with her maiden century (173* off 169 balls, including 16 x 4’s and 5 x 6’s), before chipping in with 9/3/3/18. Teagan Parker (65), Tegan Orwin (3/12) and ex-Box Hill and Victorian quick Hayleigh Brennan (2/14) provided quality support, while Jessica Adams (29) and Olivia Henry (16 + 2/36) were the best for the Rams. This weekend’s matches see Dandenong (4th) host Essendon Maribyrnong Park (6th) at Greaves Reserve #4 for the ‘Redders’ Cup. The Panthers are coming into this game with victories over Melbourne and Plenty Valley in the last fortnight, while the Bombers defeated Carlton-Brunswick on the back of a maiden 5-wicket haul from skipper Briana Binch. The biggest area that will define what happens in this match is with the bat as the Panthers have chased 2 x sub-100 scores to get their last 2 wins, while the Bombers chased 142 last match. An interesting battle awaits. Carlton-Brunswick (5th) host Box Hill (2nd) at Princes Park #2, with the Mustangs coming off a victory against a rep duty-depleted Prahran and the Strikers off a close loss against EMP. Ellie Mason will be the barometer for the Strikers, but might find it tough against a versatile Mustangs bowling attack, while Zoe Griffiths has been showing consistent all-round form in recent matches for the Mustangs. Recent form suggests a Box Hill victory, but the result could easily go the other way. Prahran (1st) host Melbourne (3rd) at Righetti Oval in what will be the match of the round. The True Blues will be keen to get their State players back this weekend after battling last week at Box Hill, while the Demons will be keen to have their best side on the park to take on the ladder leaders. 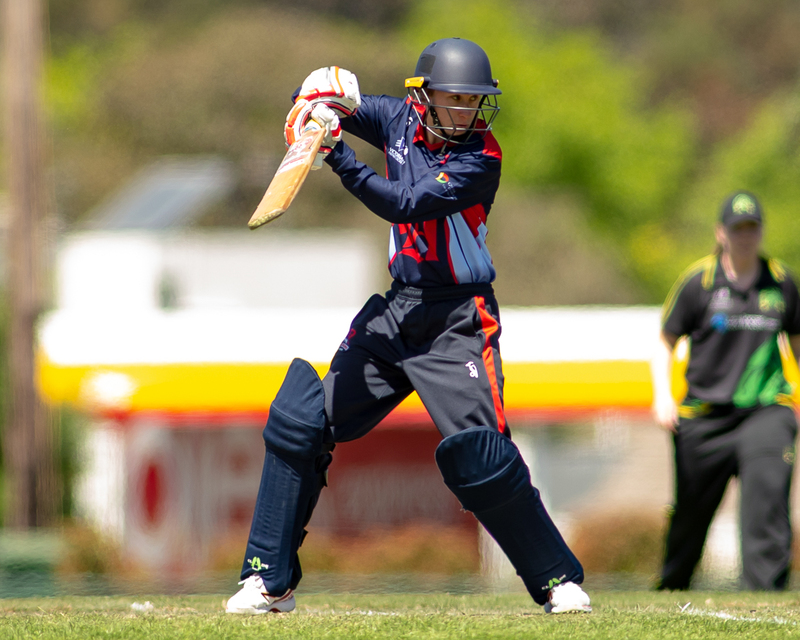 The wickets of Jess Duffin and Emma Inglis will be the key ones for the Demons to take early to give themselves a chance of taking the points. Prahran to start favourites at home. Finally, Ringwood (8th) host Plenty Valley (7th) at Jubilee Park #2 – Ringwood (The Rock). It has been a tough initiation for the Rams into the top flight full-time but the players will be better for the experience. The Bats will be keen to add another victory to their record after a quiet past month (with the Tie against Carlton-Brunswick the only positive result) and will be looking forward to getting skipper Rhiann O’Donnell back from state duties. Plenty Valley to look for their 3rd win of the season. Sunam Gautam (Greenvale Kangaroos) scored his 1,500th career Premier 1st XI run during his innings of 106 last weekend against Prahran. Liam Scammell (Melbourne University) scored his 1,500th career Premier 1st XI run during his innings of 6 last weekend against Geelong. 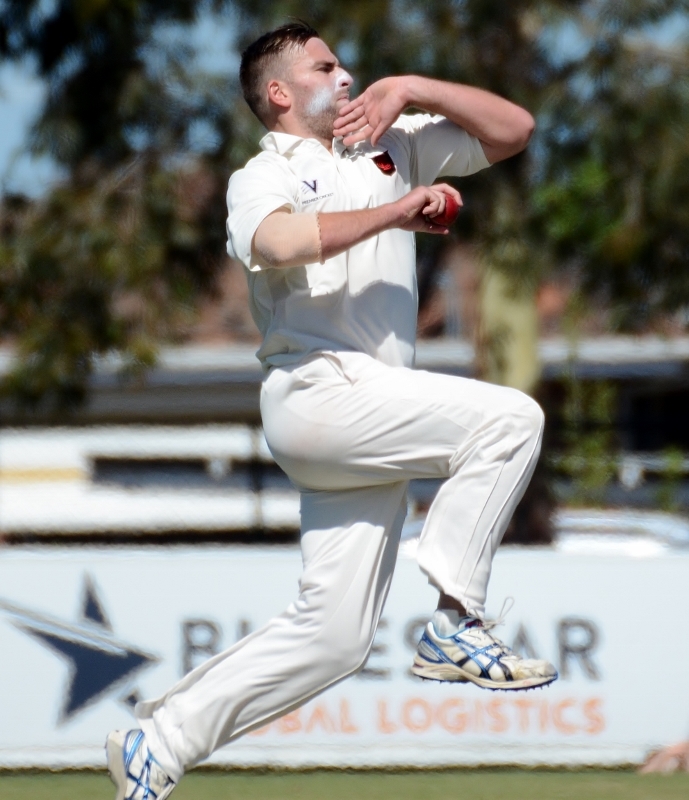 Matthew Doric (Essendon) took his 200th Premier 1st XI wicket for Essendon when he dismissed Kingston Hawthorn’s Akshay Kodoth in the Hawks’ 2nd Innings last Saturday. Devin Pollock (Casey-South Melbourne) took his 100th career Premier 1st XI catch when he caught Camberwell Magpies keeper Lewis McManus off the bowling of Jackson Fry. Apologies to Jacques Augustin (Dandenong) who in the rescheduled One Day round (Round 16) took his 200th Premier 1st XI dismissal when he caught Melbourne University skipper James McNeil off Akshat Buch. Augustin’s breakdown at that time was 177 catches and 23 stumpings (Augustin added another 3 catches last weekend against the Monash Tigers).